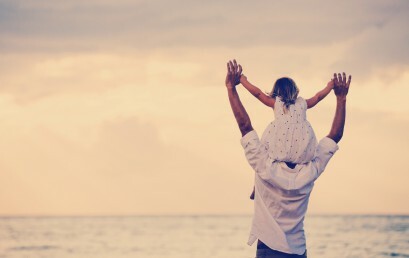 Texas Fathers and Child Custody Cases – Time for Modifications or a Change? The New Year is always a good time for personal changes and after another stressful Holiday Season with your kids and Ex, you have decided to make some serious changes in your child custody situation to stabilize the entire family. Mom is not helping and the children are seriously acting out. What to do? What to do? Fewer dads are the family’s sole breadwinner: dual income households are now the dominant arrangement (60%). Both mom and father must now be responsible for child raising and home chores. Dad and mom roles are converging: fathers have taken on more housework and child care duties and moms have increased time spent at a paid job. There is definitely a more equal distribution of labor between mother and fathers in today’s world. With the latest scientific research showing that a father’s involvement is essential to a child’s social, moral, and physical growth during the adolescent period, many state legislatures and family courts are now recognizing a father’s ability to care for his children as equal to the mother. Courts are also looking at the more stable parent, who may have a better income and parenting plan in place for the child and is capable of providing a better home life and more quality time with the child. Another reason for changing opinions regarding fathers’ rights child custody issues has been the high divorce rates and the affect it has had on the USA population life experiences. 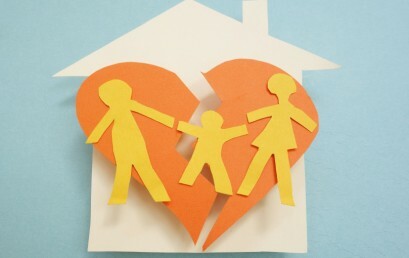 Many adults have been raised in a divorced home with Mom as the main custodial parent. Now these adults are divorcing they want a different and better experience for their own children and their lives. Who has the financial ability to best care for the child (ren)? Be sure to have income tax verification, W-2 Forms and other financial information available. Establish a detailed viable parenting plan (child care, after school care, transportation, pediatrician, etc.). Where has the child (ren) been attending school? Is it possible to keep the child (ren) in the same school district? Consider if a home study should be prepared regarding each home of the child (ren). Is there evidence such as pictures, social networking sites, video tapes, texting, etc. that may help your case? Avoid unnecessary compromising photos, data on social networking sites, or texting! Just Remember the five biggest mistakes men make in a custody suits are: 1) failing to respond to the legal action itself; 2) obtaining incorrect child custody legal advice (from friends and family rather than a legal expert); 3) signing a quick child custody settlement agreement while passions are high that is later deeply regretted; 4) failing to perform under the actual settlement agreement as signed; and 5) getting frustrated and/or acquiescing to unreasonable demands and orders. 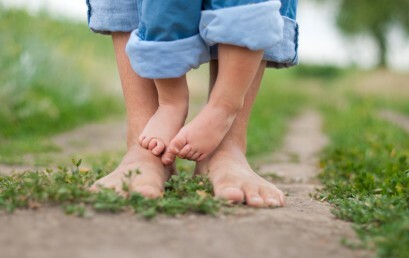 Think smart when contemplating Child Custody Modifications, be prepared and get an experienced legal professional to help you accomplish your goals! This is a “Never Want to Live Through” Scenario: After a family breakup or divorce, your kids are picked up by your Ex and they all disappear! Where are they? Are they in danger? Will I ever see my children again? After you get over your shock, the main question you will ask is: What can I do to get my children back? Thinking clearly, you must respond quickly. Time is of the essence. Contact the police immediately. You need to tell them that the runaway parent may have taken the children without permission. Make sure that you have your certified legal court orders that pertain to your parental arrangement agreement concerning your children. It is important to be able to show the police the specific orders and how important it is to find the runaway parent and kids! Make a list of possible locations the runaway parent may have taken the children. This helps the police in their search. Contact a family law attorney immediately. After the runaway has occurred, there will be court intervention to prevent any further occurrences. Custody and supervised visitation issues will also need to be addressed. If you were never married or divorced from the runaway parent, or if you have no legal court orders concerning or establishing custody and visitation rights in place, this could be a serious impediment in securing help to find your children. At any time this could happen to you! If your legal position concerning custody and visitation with your children is in limbo, go secure a family law attorney and the help you need to protect your kids. If a custody agreement is in place with the courts, it is legally binding. If the runaway parent violates the agreement terms, this parent is in violation of the law and will likely face some serious legal problems. Many times, the runaway parent may take the children out of your area and may even cross state lines. This violation in your custody/visitation agreement could be considered parental kidnapping if the runaway parent moved without telling you the new residence of the child or without getting legal permission through the court to move or modify the custody order. Custody Arrangements will legally be changed by court orders. You will most likely be awarded protective orders or custody with the runaway parent receiving supervised visitation or no contact with the child. The runaway parent may also face criminal charges and jail time.